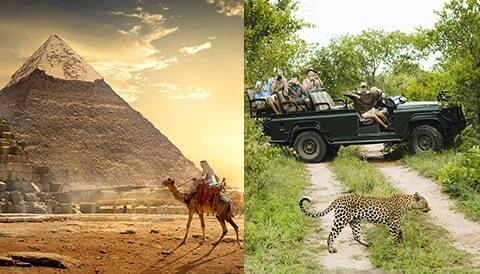 Going on a Safari is the experience of a lifetime. 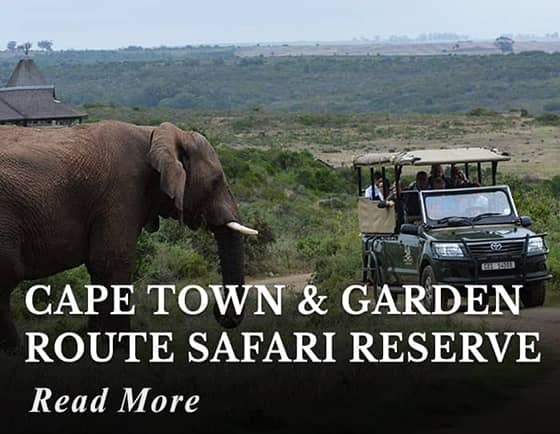 Spend two nights at a private South African game reserve lodge, where you will enjoy daily game drives on open 4 x 4 land cruisers with professional rangers and skilled trackers. 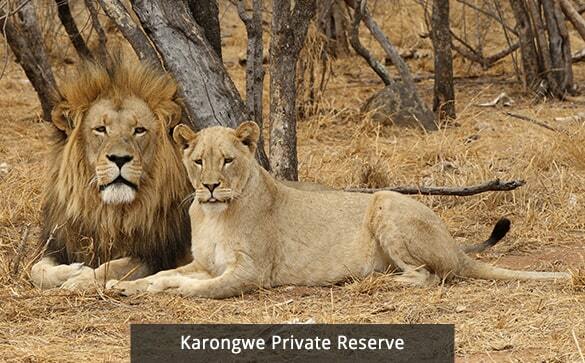 The lodge is located within the Karongwe Game Reserve, an untamed area of South Africa's untouched wilderness. The game is plentiful here, as Karongwe is home to the "Big Five" -- lion, leopard, elephant, rhino and buffalo -- as well as many other species of wildlife. Continue to Victoria Falls, Zimbabwe, where you stay three nights. 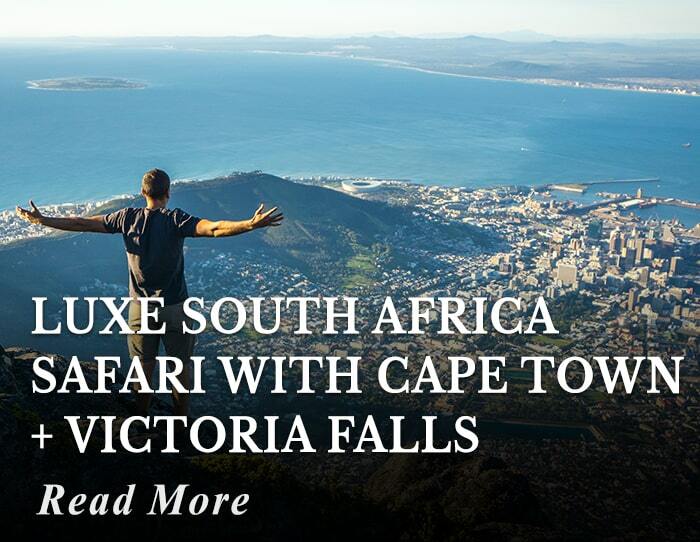 Visit the Falls, a spectacular sight of stunning beauty. 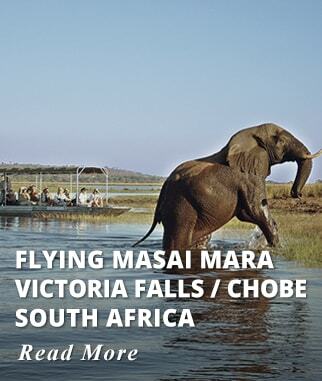 Travel for the day into Botswana and visit the renowned Chobe National Park, famous for its vast herds of elephants. Guaranteed departures. Small groups. All our itineraries are fully customizable. 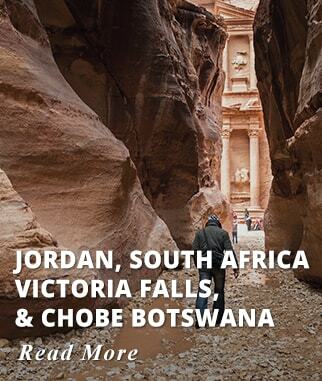 We also include two nights in Johannesburg, flights, transfers, and all taxes -- there are no hidden costs. Prices are valid for Daily Departures from September 10 to December 05, 2019 & January 10 to February 20, 2020. Other departures for 2019 and 2020, available at a higher rate. Prices are higher for Christmas New Year, Easter, and Summer (May 05 to Sept. 09). Prices are per person based on double occupancy, Single Supplement USD 599. Special Singles Offer: Pay No Single Supplement! Valid for Departures from Jan. 10 to Feb. 20, 2020. 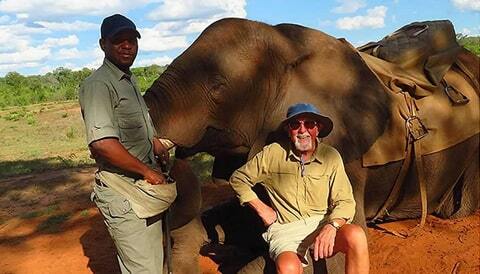 Three Tours Combo Package: Elephant Back Safari - Helicopter Flight over the Falls - Sunset Zambezi River Cruise. Experience an intimate River Safari on this Wetland Paradise. 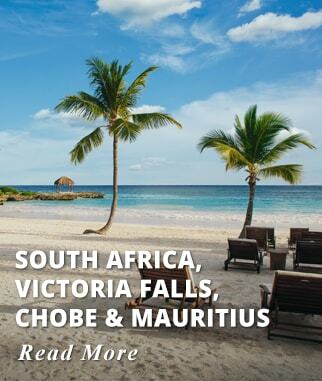 Board your international flight to Johannesburg; we offer departures from most major Cities in the USA and Canada. On arrival at Johannesburg OR Tambo International Airport, you will be met and assisted by our Representative. 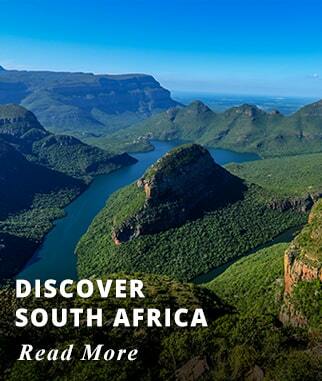 Canadian and American passport holders do not need a visa to enter South Africa. 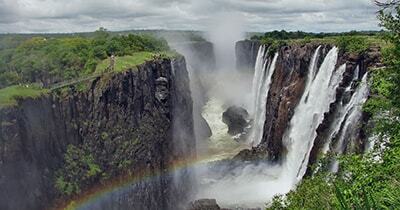 Tourist Visa is needed for your trip to Victoria Falls Zimbabwe, but it is purchased upon arrival in Victoria Falls. Accommodation: City Lodge O.R. Tambo Airport Hotel. Activities included today: Arrival to Johannesburg. Early this morning transfer by shuttle bus transfer to Karongwe Private Reserve, bordering the famous Kruger National Park. Fly from Johannesburg to Hoedspruit, then a 45-minute transfer by road to Shiduli Private Game Lodge in Karongwe Private Game Reserve. These Private reserves offer excellent game viewing opportunities together with the advantages of smaller, hosted accommodation and game drives. Arrive at your Lodge, Shiduli Private Game Lodge; Shiduli Private Game Lodge offers an unrivaled African Safari experience where the warm atmosphere, friendly staff and fine cuisine compliment the excellent game viewing. Have lunch on arrival and freshen up before your afternoon Game experience in open 4x4 vehicles. Return to your Lodge as the sun sets. Overnight Karongwe Reserve, Shiduli Private Game Lodge. 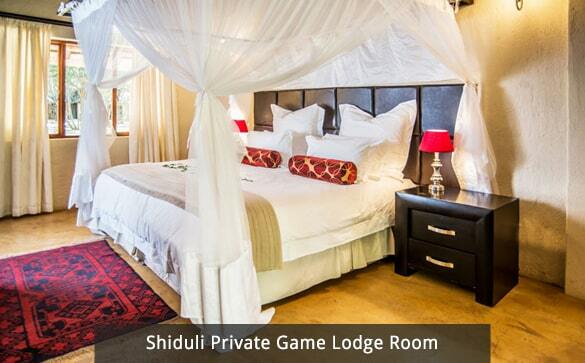 Accommodation: Shiduli Private Game Lodge. Upgrade at an extra cost to Kuname Lodge or Similar. 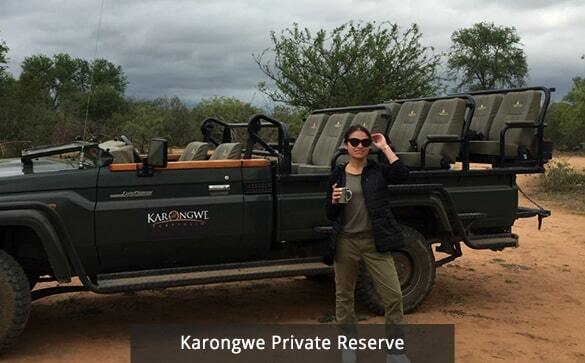 Activities included today: Travel by road Johannesburg - Karongwe Private Game Reserve. 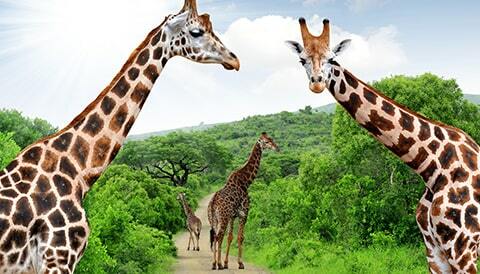 Enjoy an afternoon Game Drive. Today enjoy early morning and afternoon Game Drives at your Lodge. Shiduli Private Game Lodge is located in the Karongwe Private Reserve nested in the heart of the game-rich Lowveld with the spectacular Drakensberg Mountain Range in the backdrop. The "Big Five" lion, leopard, elephant, rhino and buffalo, can be found here. The reserve is home to other wildlife such as cheetah and hippo and over 350 species of birds. Game Drives are conducted by Profesional Guides and Trackers who will ensure your African Safari experience is unparalleled, the success rate for Game viewing at this Lodge is very good. Breakfast, Lunch, and Dinner included. Overnight Shiduli Private Game Lodge. Activities included today: Early Morning and Afternoon Game Drives. 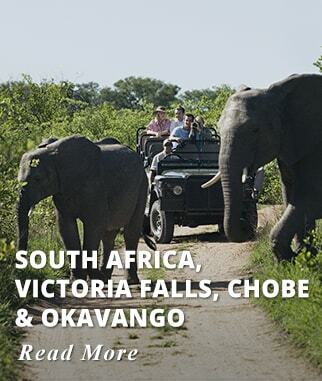 After your early morning game drive and breakfast, you will check out and transfer by road to Johannesburg. Upon arrival, check in at your Hotel at Johannesburg airport. Activities included today: Early Morning Game Drive, Travel by road to Johannesburg. 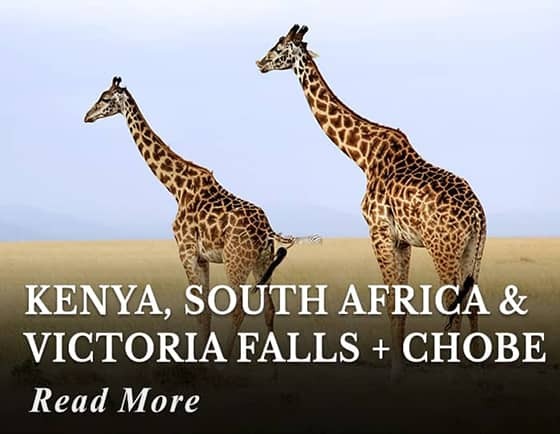 After breakfast, leave for Johannesburg airport for your flight to Victoria Falls Zimbabwe. Upon arrival proceed to clear Customs and Immigration. American and Canadian Passport Holders need to purchase a Tourist Visa upon arrival. Fees are to be paid in exact cash per person and will be confirmed before departure. Upon exit, you will be met by our representative and assisted with transfer to your hotel, A'Zambezi River Lodge. The Lodge is located in Victoria Falls Zimbabwe, nestling on the banks of the mighty Zambezi river within the periphery of the Zambezi National Park. 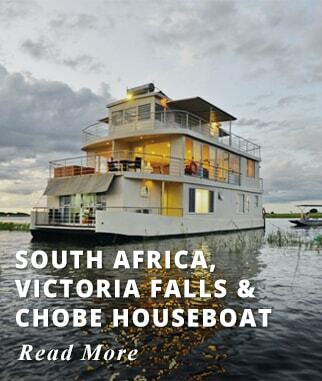 This Hotel is the only one with a river frontage and jetty site in Victoria Falls. 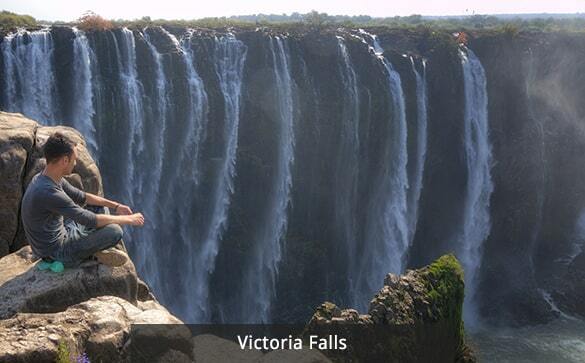 Rest of the day at leisure to relax and explore the Town of Victoria Falls. Overnight A'Zambezi River Lodge, Victoria Falls Zimbabwe. 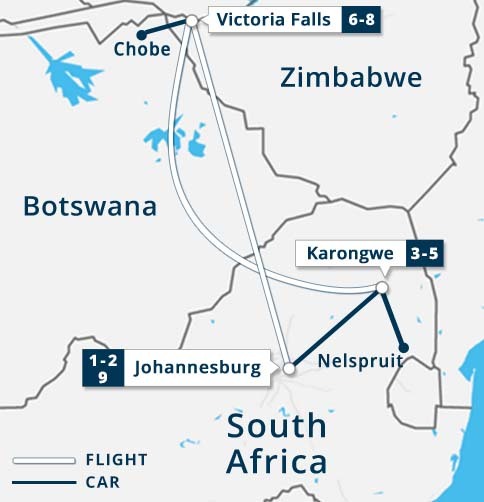 Activities included today: Travel by flight Johannesburg - Victoria Falls. After breakfast depart for Botswana for a full-day trip into Chobe. 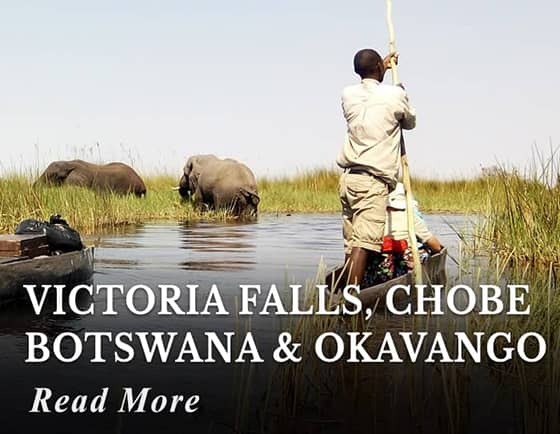 Just an hour away from Victoria Falls you can experience a completely different safari experience by enjoying a day in the Chobe National Park and Chobe River. Depart from your Hotel at 07h30 and transfer to the Kazungula border post for your crossing into Botswana. On arrival, you need to pay USD 30 cash per person for the Botswana Tourism Levy fee. The transfer takes between 45 minutes and 1 hour. Upon arrival at the Zimbabwe border post, you will pass through the Customs and Immigration where your passport will be stamped and drive 1km up to the Botswana border post. At the Botswana border, you will be given an Immigration Form which you will need to complete before going to the Immigration counter with your passport. Once your passport has been stamped, you will return to the vehicle. The morning begins with a river cruise into the park, with an opportunity to see a host of waders and water birds along with the ever-present Crocodile and Hippos. Chobe is known for scores of large herbivores making their way down to the river to drink, most notably Elephants and Buffalos. On the islands, Puku and Lechwe are often seen and on the banks, Kudu, Impala and Water Buck are common. Soft drinks and water are included on the boat. A buffet lunch is served at Chobe Safari Lodge, bordering the National Park. A complimentary drink, tea, and coffee are included with your lunch. 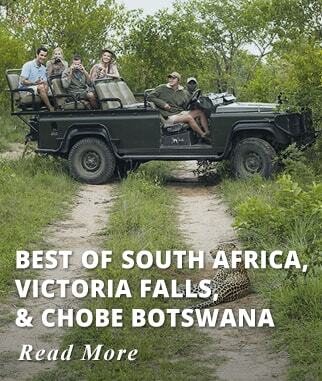 After Lunch, guests head off on 4x4 Safari Vehicles for a Game Drive in Chobe National Park. Apart from a very vast elephant population Chobe hosts a diverse ecosystem and landscapes along the Chobe River. After your tour return by late afternoon to your Victoria Falls Lodge. Accommodation: A'Zambezi River Lodge (or similar). 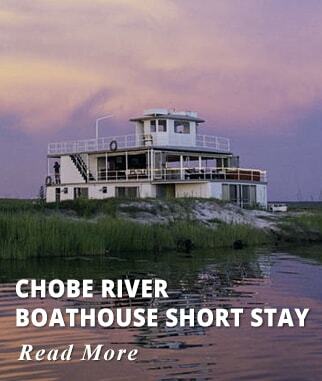 Activities included today: Travel by road to Chobe Botswana. 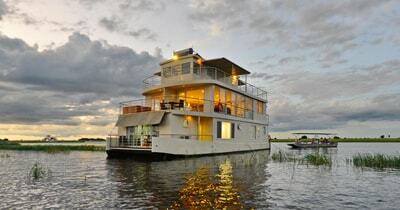 Boat Cruise in Chobe River. Game Drive in Chobe National Park. After breakfast spend the morning at leisure. 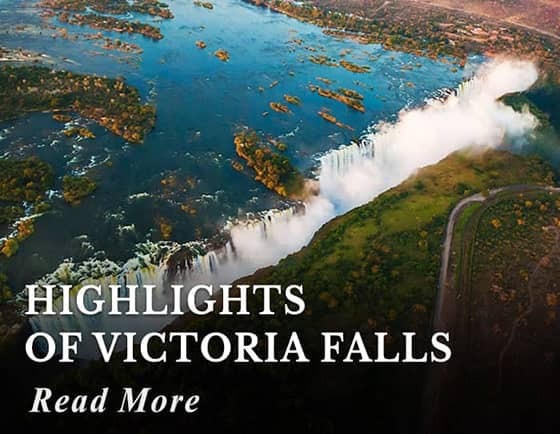 Early afternoon enjoy a Guided tour of Victoria Falls. The best way to see them is on a guided tour, discover how the Falls were formed and what local customs and traditions surround them. 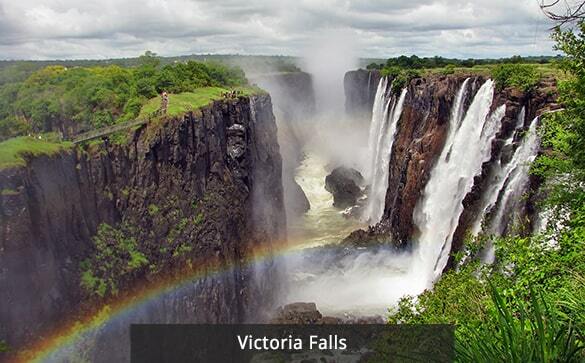 The Victoria Falls were named after the British Queen Victoria, and they are the largest falls in the world. 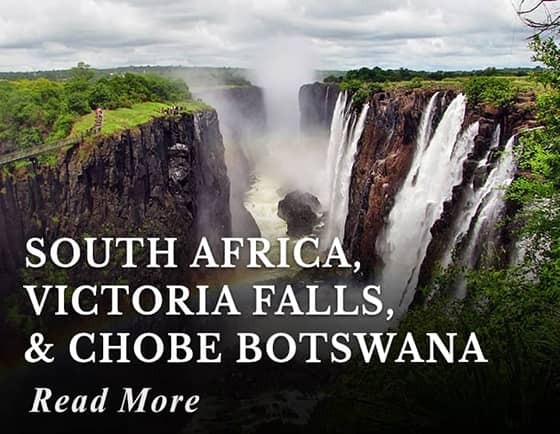 The falls are twice the height of Niagara Falls in North America and are located on the border of Zambia and Zimbabwe. One of the original natural wonders of the world, the Victoria Falls is a World Heritage Site and an extremely popular tourist attraction. 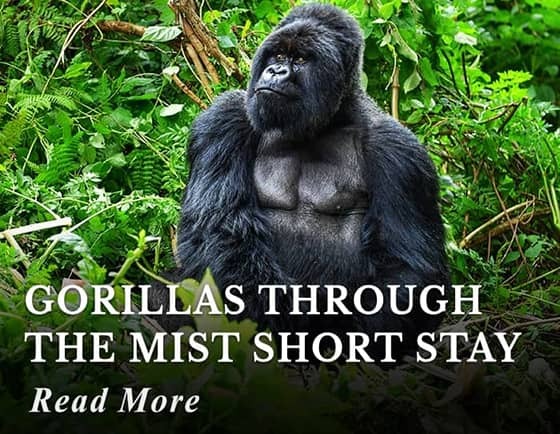 Known locally as 'The Smoke that Thunders' this spectacle is accessible from both Zambia and Zimbabwe, and it is an ideal place to combine a game viewing and water sports. There are excellent fishing, a terrifying bungee jump and arguably the best commercial whitewater rafting in the world. Your tour ends with a visit to the local art and crafts center. Return to your Lodge by late afternoon. Activities included today: Guided tour of Victoria Falls. After breakfast morning at leisure. 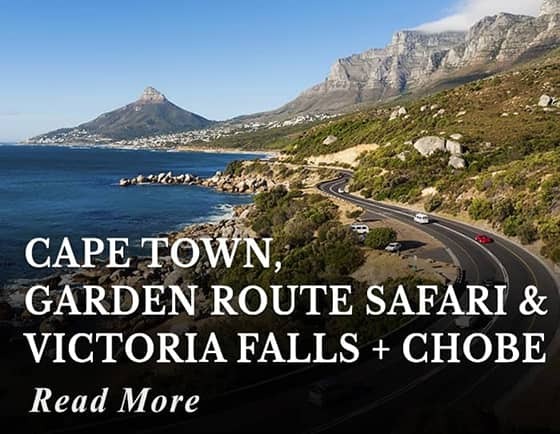 Depart for the airport for your flight to Johannesburg. Tour Ends. Connect with your flight home. 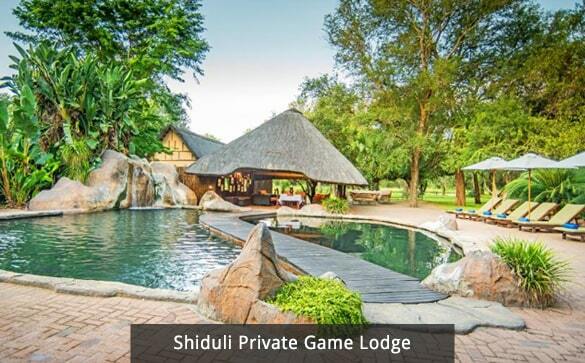 Two nights of accommodation at 4* Shiduli Private Game Lodge, Karongwe Game Reserve. 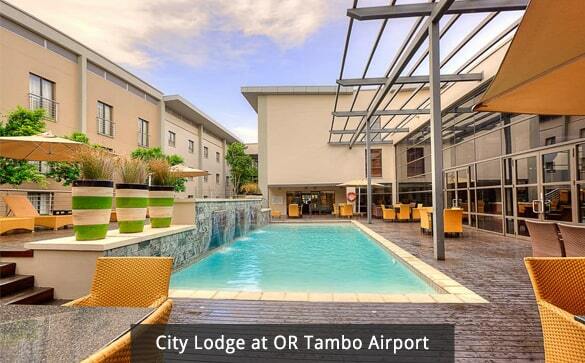 Two nights of accommodation at 4* City Lodge O.R. Tambo Airport Hotel Johannesburg. 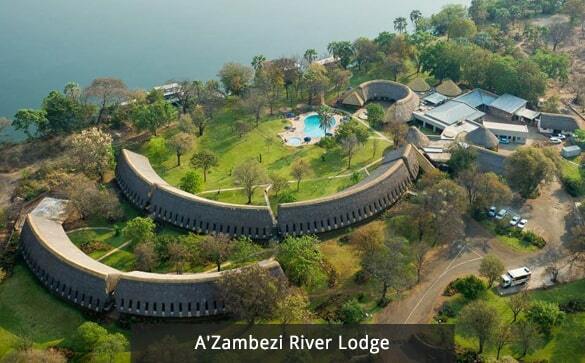 Three nights of accommodation at 4* A'Zambezi River Lodge. 2 Early morning Game Drive, Shiduli Private Game Lodge, Karongwe Game Reserve. 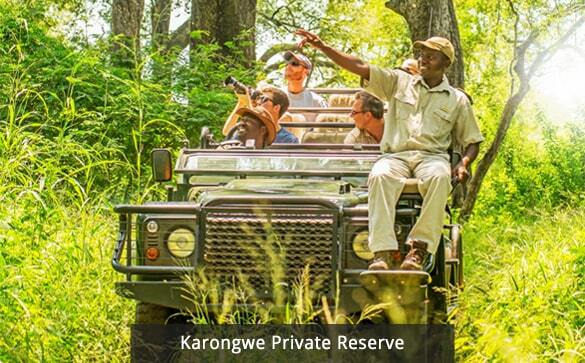 2 Afternoon Game Drives, Shiduli Private Game Lodge, Karongwe Game Reserve. Option to add a walking Safari at Shiduli Private Game Lodge. Game Drives are conducted by Professional Guides and Trackers, in 4X4 Open Vehicles. 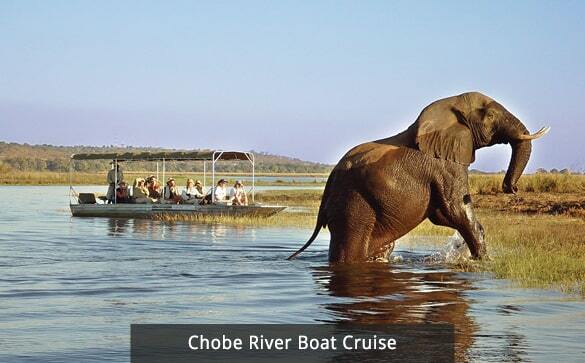 Day trip to Botswana's Chobe National Park, explore the Park on a boat cruise. Game Drive in Chobe National Park, provided on 4x4 Safari Vehicles. Breakfast, Lunch, and Dinner during your stay at Shiduli Private Game Lodge. Lunch during your day trip to Chobe Botswana. All Transfers airport - Hotel - airport. Road Transfer Victoria Falls - Chobe - Victoria Falls. Transfers for all your sightseeing. Victoria Falls Tourist Visa Fees. Paid locally per person in exact cash. Amount to be advised before departure. Botswana Tourism Levy Fee USD 30 to be paid locally per person in exact cash. PLEASE NOTE: Visa Fees/regulations are subject to change without prior notice. Customary tips to drivers, guides, hotel staff, etc. This is by far the best trip of my life! The trip was amazing! I want to thank you for putting everything together. We had someone with us every step of the way, insuring we got from one location to the next without any issues. This was very comforting. The hotels we stayed at were all very nice and the staff was always so generous to help us. We were sad to leave. The Africa trip was outstanding and way beyond my expectations! The Africa trip (South Africa, Victoria Falls & Chobe) was outstanding - way beyond my expectations. Saw (and photographed) the "Big Five", and Victoria Falls was spectacular - especially from the helicopter. This tour was executed on my behalf to perfection! 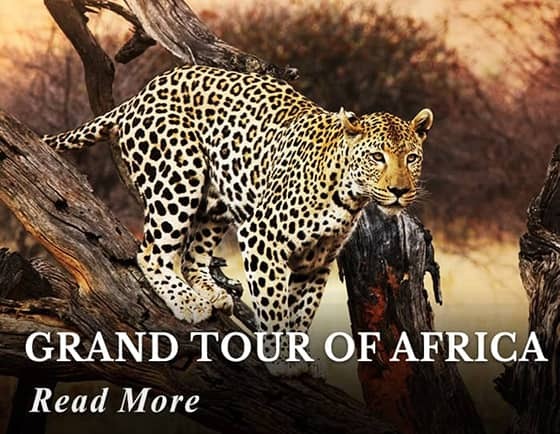 I just returned from the tour called "Grand Tour Of Africa" which was coordinated by Travel Discounters and would like to advise anyone who is contemplating this tour that it was executed on my behalf to perfection. 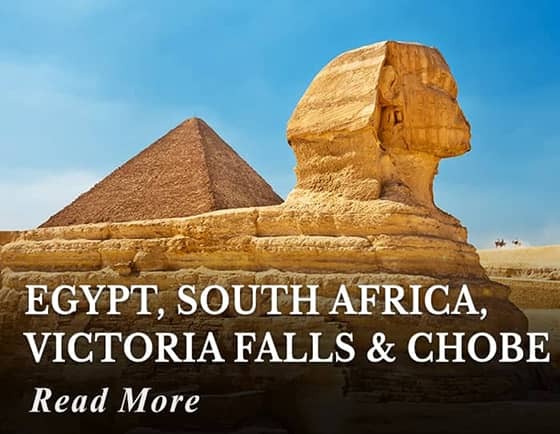 Each of the subsidiary tour agencies that handled my itinerary in the various countries I visited, were punctual and friendly on all greets at airports as well as transfers to and from hotels and tour sites. 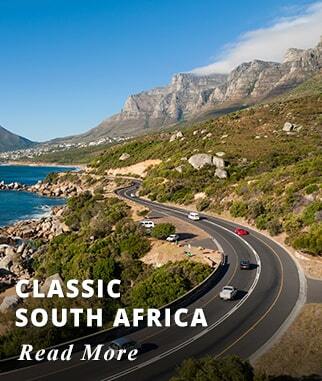 Discover South Africa with our great selection of itineraries.